Hearts will play Auchlineck Talbot in the 5th Round of the William Hill Scottish Cup after a hard-fought 1-0 win over Livingston today. Sean Clare’s stunning second-half goal was the difference between the two sides at a freezing Tynecastle Park, as the Jambos recorded their third win on the bounce. Craig Levein made three changes from the side that defeated Hibs prior to the winter break. Callumn Morrison replaced Marcus Godinho while debuts were given to David Vanecek and Conor Shaughnessy, they came in for Peter Haring and Clevid Dkiamona. There was little in the way of goalmouth action in the opening 20 minutes, with Alan Lithgow’s ball across the face of goal after 22 minutes the closest anyone came to troubling either goalkeeper, but Colin Doyle had it covered as it flew wide of his left-hand post. Olly Lee’s sprawling ball found Michael Smith on the right five minutes later and he was afforded space to cut inside and play into Vanecek’s feet, with Clare collecting and trying his luck from 25-yards but his curling effort couldn’t find the target. At the other end, Keaghan Jacobs’ corner was met by Ryan Hardie inside the six-yard box but he flashed a header wide of the target. Gregg Wylde registered the game’s first shot on target after 35 minutes, darting forward before pulling the trigger from around 30-yards out, but his shot was tame and easily gathered by Doyle. Hearts responded by testing the Livi ‘keeper five minutes later. Clare’s cross was headed clear but only as far as Michael Smith, who moved it inside to Olly Lee, and he took a touch before unleashing a powerful drive from distance that Liam Kelly dived to save. The Jambos had the ball in the back of the net moments later but it was ruled out. Morrison tore down the right to send it in for Naimsith, whose first-time shot was brilliantly saved by Kelly, and although the Scotland slammed home the rebound, he was flagged for offside for the initial effort. The men in maroon were edging closer to an opener, and with less than a minute of the half remaining broke down the right again with Morrison sending a great ball into the box which fell to Smith at the edge of the box and his drive looked goal-bound, only for it to cannon off a maroon shirt and out for a throw. Three minutes into the restart Hearts took the lead. Naismith’s pass to the edge of the box found Vanecek, who played a delightful dink into the path of Clare, and he hit a first-time shot, brilliantly curling the ball around Kelly and into the back of the net. It was nearly 2-0 minutes later. Looping cross from the left was fumbled by Kelly into the path of Morrison, who took a touch to create space before shooting towards goal, but Craig Halkett was on hand to clear it off the line. 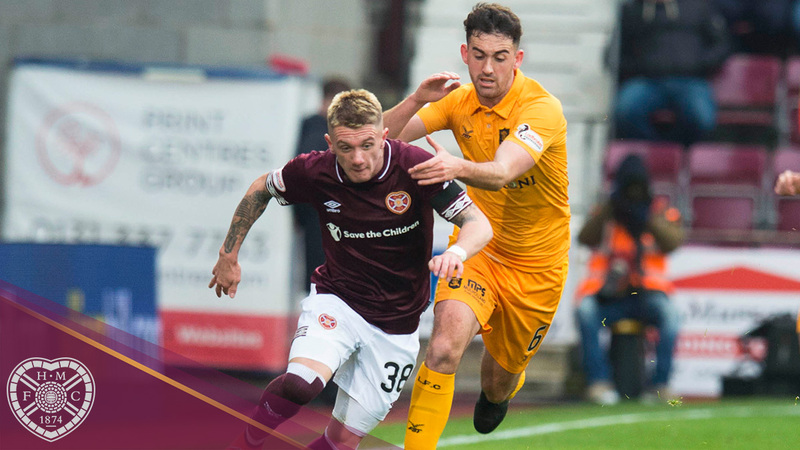 Doyle was on hand to maintain Hearts’ lead in the 58th minute. Livi broke forward through Pittman and he played in Hardie at the edge of the box, and the on-loan Rangers striker drilled through two defenders only to be denied by a solid save from Doyle. 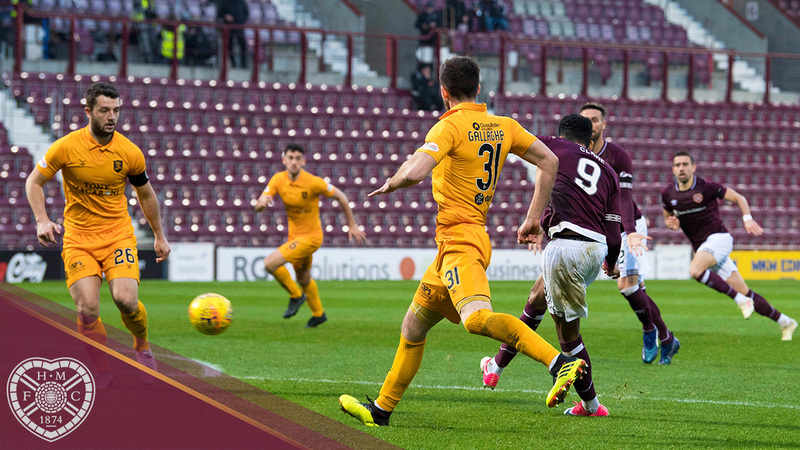 Livi passed up a good opportunity to equaliser when the ball found Wylde unmarked on the edge of the box and he danced inside away from two maroon shirts but blasted wildly over the bar. Hearts went close again on 63 minutes. Morrison got down the right to send a ball across the face of goal towards the unmarked Naismith, but at full stretch he narrowly missed connecting with it. Morrison was in the thick of it again moment later with Lee teeing him up inside the box but his rocket shot was beaten away by Kelly. 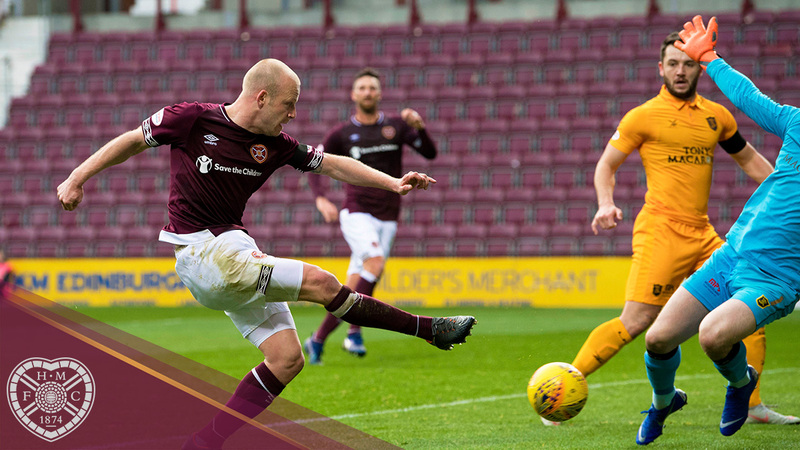 Doyle was called into action again in the 77th minute, leaping across his line to push away Declan Gallagher’s long-range curling effort as Livi rammed up the pressure in search of an equaliser. Steven Lawless was next to try his luck from distance, fizzing a shot inches wide of Doyle’s left-hand post from 25-yards out. 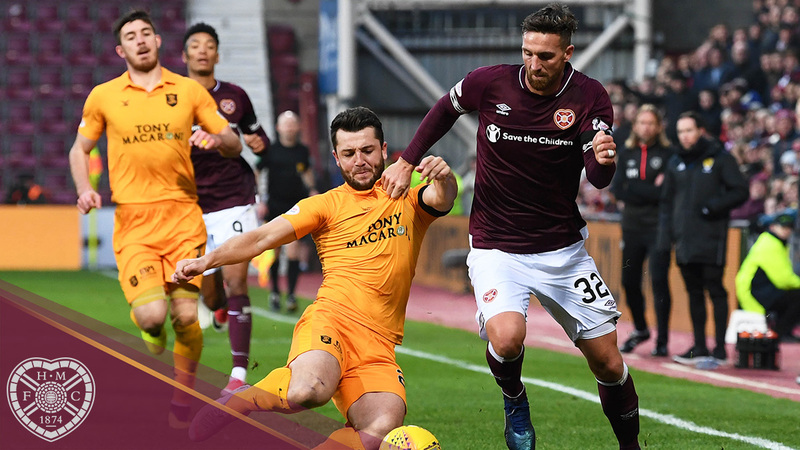 Hearts defended well and denied Livi a way past to secure the victory – and a third win and clean sheet in a row – and will renew acquaintances with Junior side Auchlineck Talbot in the next round, whom the maroon beat en route to lifting the Scottish Cup in 2012. Hearts: Doyle, Smith, Shaughnessy, Berra, Lee, Clare (Bozanic, 79'), Djoum, Naismith, Garuccio, Vanecek, Morrison (Mulraney, 86'). Zlamal, Mitchell, MacLean, Dikamona, Keena. Livingston: Kelly, Lithgow, Byrne, Jacobs, Pittman, Hardie (Erskine, 71'), Lawless, Halkett, Gallagher, Wylde (Lamie, 60'), Menga (Hamilton, 75'). Subs: Stewart, Sibbald, Cadden, Lawson.